If you have limited mobility in your legs, having a wheelchair can make a world of difference in your quality of life. This is because you can move around somewhat freely and, depending on your injury or disability, can do so unaided. Even if you do require the assistance of a caregiver, a wheelchair goes a long way to helping them move you around. However, we know that wheelchairs and any mobility aids can be expensive. Because of this, it is important to take proper care of them to increase their longevity and to make sure that you’ll be able to make use of them for years to come. Here at Good Life Medical, we also know that accidents happen and that it does not matter how well our equipment is manufactured, unforeseen circumstances could result in them breaking. Therefore, we offer the most reliable wheelchair repair services in Perth, WA. 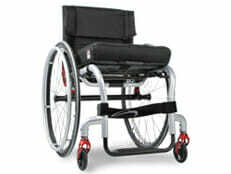 We also supply wheelchair repair parts for issues that can be more easily fixed. When it comes to your wheelchair, any problem needs to be investigated and fixed as soon as possible to prevent your chair from becoming even more faulty. Whether it’s your wheelchair’s brakes or casters, we can help ensure that you’re moving around in no time. Looking after your wheelchair properly will also help increase its lifespan. With our wheelchair maintenance services, we can make sure that your equipment is always in the best working order to provide you with a smooth and comfortable ride every time that you use it. It is, however, extremely important that you as the wheelchair owner listen out for any funny sounds or take note of strange movements to determine if there is a problem. A good idea may be to look over the manual to familiarise yourself with how your wheelchair works. This is especially important if you are using the wheelchair daily. Giving it a simple once-over before you use it could save you time and money down the line. Cleaning it every day, even just a wipe with a damp cloth, could also quickly alert you to any problems. It could take just one small problem to result in a major accident. This means that it is imperative to fix your wheelchair as soon as you are made aware of any possible issues. 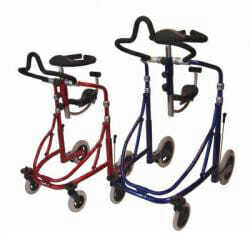 Essentially, Good Life Medical wants to be the complete solution to all your mobility aid requirements. We want to be there for you when you decide on the perfect mobility aidfor you all the way though to the maintenance and repair aspects that come along with owning a wheelchair. Even though you will be helping tremendously by keeping an eye on the proper functionality of your wheelchair, it is still up to us to make sure that your mobility equipment is doing its job. We have a real passion for, and knowledge of, the industry. 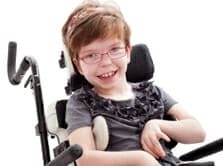 This, in addition to our strong desire to provide a positive customer experience, has made us one of the leading and most preferred wheelchair repairers in Perth. Depending on your injury or disability, buying any type of mobility aid or equipment can be a lifelong investment. You’ve made the decision to improve your quality of life so let us help to ensure this with our extended services. If you have a question relating to the maintenance and repairs of your wheelchair, simply contact Good Life Medical today. You can give us a call or you can fill out our online enquiry form. We will get back to you as soon as we can. Contact Good Life Medical if you need help with repairing or servicing your equipment.